If you are looking for somewhere unusual to stay in the UK check out our top picks. 1. The Chapel, Somerset is an exquisitely renovated late-nineteenth-century Methodist Church in a picturebook-perfect village , a little way south of both Bristol and Bath, on the edge of the Mendip Hills. Not only is it a brilliant conversion of a beautiful old building, which oozes character and and mod cons all at the same time, it's also as comfortable a holiday cottage as you could find – the perfect country bolthole for two couples or a small group of friends. 2. The Nest Treehouse is an altogether different proposition: a woodland hideaway that's ideal for a relaxing romantic short break in the Devon countryside. Tantalisingly tucked away, it's the ultimate one-bed retreat; a remarkable and luxuriously crafted treehouse suspended nine metres above the ground in the branches of a large English oak tree. With its own wood-burning stove, it's a cosy, quirky option. 3. Hadlow Tower, a magical, self-catering Gothic tower situated in the heart of Kent, just a short journey from capital, this is a fairytale place to stay. 50-metre-high – also known as 'May's Folly' – the unique four-bedroom holiday home-from-home has 360-degree views over the rolling fields from its Rapunzel-like heights. The accommodation is spread over no fewer than five floors, connected by two spiral staircases and even an elevator that runs from bottom to top. 4. 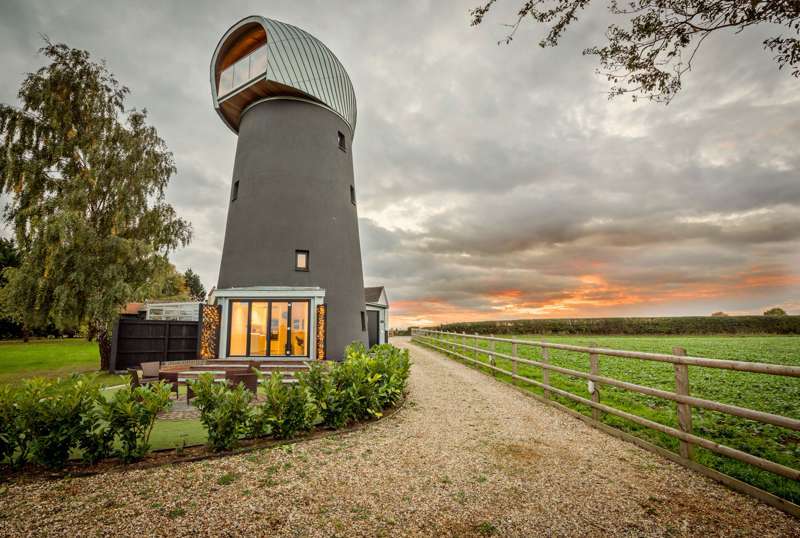 The Windmill Suffolk provides a wonderful stargazing escape: once a cornmill, it's been lovingly converted and fitted out to a very high spec, making it unusual as well as a very contemporary place to stay. The restaurants, cafés and timbered delights of Lavenham are close by, but it's even better to retire to your rooftop eyrie at the end of the day, where you can enjoy panoramic views, telescopes for looking up at the stars and a wine fridge to keep the traipsing up and down stairs to a minimum. 5. Norfolk Broads Direct Boating Holidays sits right by Bure river in the centre of the undisputed capital of Broads boating – Wroxham. There are lots of boatyards, but this is one of the best, with a fleet of over two dozen eco-friendly cruisers, ranging in size from homely two-berth boats – great for a romantic holiday with a difference – to four-cabin behemoths with all the creature comforts you could possibly need.